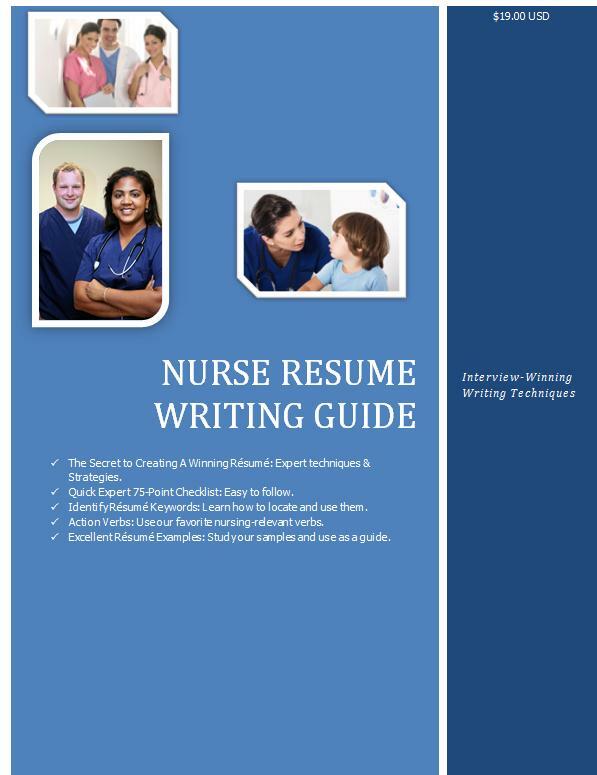 Registered Nurse Resume Writing Service - Nurse Resume Writing Service | Certified, Award Winning, Writing Excellence that Works! Yes, resumes and the application procedure has changed. Before, it was enough just to list your credentials and job history. Nowadays, you must meet computer sorting requirements with keywords, and also make a great impression with a resume that talks business. In other words, a resume that promises they are making the right decision for their facility revenue and patient satisfaction scores by choosing YOU (not just any qualified nurse) but by choosing YOU for an interview — especially in lieu of all the changes on the rise in healthcare. Whether you are seeking to land a higher paying nursing career, better hours, or would like to get into the specialty of your dreams — we can assist you! Order below. After you place your order, we will e-mail you an assessment we would like you to complete and move on to scheduling your telephone call with our certified career management coach and certified master resume writer. Yes. Resumes have changed, and so the samples you see on our website with color, vivid writing, and creative layouts work better than the mundane black and white with a sea of bullets that almost EVERYONE is submitting. There is no originality in that, and almost all resumes look that way. You need to stand out. Our resumes are key-word rich, personalized and beautiful — you will love truly seeing yourself in your new resume. Still, we will interview you and design a resume that aligns with who you are — not everyone wants or can leverage a “colorful” resume. The idea is to make it visually distinct and pleasing, too. ***The current turnaround time is 7 to 14 business days! Place your order below, and we will follow up within 24 hours with next steps which include completing a career assessment. Resume in 3 versions (Editable MS Word version, PDF version for storage, and e-resume/ASCII version for online submission). Resume in 3 versions (Editable MS Word version, PDF version for storage, and e-resume/ASCII version for online submission) + cover letter in 2 versions (Editable MS Word version and e-resume/ASCII for online submission) + references list + thank you letter + list of job search sites. Resume in 3 versions (Editable MS Word version, PDF version for storage, and e-resume/ASCII for version online submission) + cover letter in 2 versions (Editable MS Word version and e-resume/ASCII for online submission) + 1-hour interview coaching session + references list + thank you letter + list of job search sites. Resume in 3 versions (Editable MS Word version, PDF version for storage, and e-resume/ASCII version for online submission) + cover letter in 2 versions (Editable MS Word version and e-resume/ASCII version for online submission) + personalized LinkedIn profile with online submission + references list + thank you letter + list of job search sites. Resume in 3 versions (Editable MS Word version, PDF version for storage, and e-resume/ASCII version for online submission) + cover letter in 2 versions (Editable MS Word version and e-resume/ASCII version for online submission) + personalized LinkedIn profile with online submission + 1-hour interview coaching session + references list + thank you letter + list of job search sites. $300. Professional Resume and Cover Letter Re-Target. This is an add-on service. You must order resume above. More and more nurses are asking us to create two resume versions. One for ANY unit and one version to target their dream specialty (i.e., Pediatrics, Maternity, ICU). 1-year free hosting. $15/month for hosting after the first year. Why: If you are planning to become a leader in the healthcare industry you must capture your domain name NOW! The internet is the new real estate. You also must work on building your network and your reputation TODAY. How? 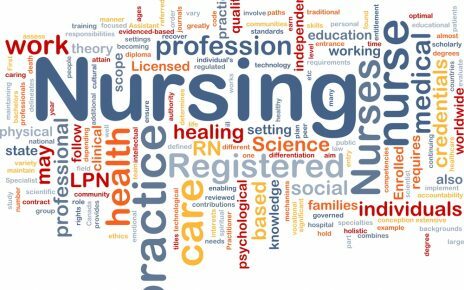 You can blog about nursing/healthcare topics, store an online and mobile resume, connect your social media accounts, and so much more. * For resume clients: We will use the materials/content/writing we developed for you. * Non-resume clients: Please contact us before you order. You must supply all content/writing/data. We will quote you for copywriting based on your needs. Moving you forward, confidently, is our coach’s goal. When you hire Rosa Elizabeth to guide you through this period, she will enable you with the wisdom, tools, and plan to gain traction quickly in your career. Topics include Interview Practice, Interview Coaching, Job Search Plans, LinkedIn or Social Media Job Hunting, and more. Before each session, she will email you a FOCUS exercise to guide the coaching session. Email us at rosamrw@gmail.com if you have any questions. "Thank you again for the amazing resume!!! I got two interviews within a week!" "First email: I just opened the resume doc - haven't read it yet - but it is GORGEOUS!!!!!!!!!!!!!!!!!!!!!!! It looks so beautiful! I LOVE the design! I am so excited!!!!! Talk to you soon. Second email: I am reading this and freaking out. This is AMAZING! You guys are incredible. WOW." "I was a new graduate RN with a bachelor's degree in Nursing, graduated with honors, was a member of the prestigious international honor society of nursing, and had many years of work experience in health care; however, I had no idea how to present myself on paper. I had also just moved to a new part of the state and had no connections to any of the local hospitals since I did not do any of my clinical rotations locally. And then I found ROSA and she changed my life. Four weeks after I received my RN license, I started to get interviews. Within 6 weeks I had interviewed for two hospice positions, one OB position, and two new graduate RN programs. Rosa coached me before I went into the Residency interviews and I made it to round 2 for both and in round 2 interviews; I remembered everything Rosa taught me and used those skills in the interview. To my surprise I was offered all 5 positions, including two nursing residencies! I was a new graduate RN for only 6 weeks and I had 5 job offers, I had choices! I truly believe that if Rosa did not bring out my strengths and teach me how to market myself, I wouldn't be where I am today. She has a gift and she is willing to share it, every dollar you pay Rosa will be returned to you once you land that dream job. Rosa helped me achieve my dreams, she will always be my resume writer even when I finish my masters and PhD. Thank you Rosa!!! P.S. During my interview, one of the nurse managers actually commented on how beautiful my resume was!" My name is Naeko B. You wrote a resume for me. It was absolutely fantastic! I sent a copy of my resume to the 3 managers in charge of the 3 different units and I got personal calls back from each of them! Now I have 3 job offers and I am having a hard time deciding which one to take. So awesome job! Thank you! I can't believe you took all that military jargon and converted it into terms that everyone can understand. 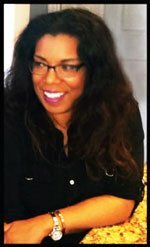 I have been struggling in conveying the universal knowledge and experience I bring as a CNO and was afraid to hire a resume service to help me! I am so glad I did. Thank you kindly. You are so good at what you do and worth every penny." I just wanted to write to say thank you because I landed the JOB of my dreams at Stanford Hospital! I was accepted to the new grad program at Stanford, which is extremely competitive. During my interview, they mentioned that my resume was one of the best ones they've ever seen. Thank you sooo much for helping me get to where I always dreamt to be. You are amazing and you rock!! I have had 2 interviews this week and a potential third one. So far the employers love the resume. You have proven to be an exceptional resume extraordinaire. My mom was even thrilled and printed a copy out for her self to show off to her friends. I just wanted to update you and let you know that I am officially a medical/surgical ICU nurse at UC Davis Medical Center!! Walking in with a brand new, re-designed, super awesome cover letter, resume, reference sheet, and following up with the thank you letter showcased how strong of an applicant I really am. After doing a little networking with an executive at a hospital, I gave her my cover letter and resume. She said it was one of the best, well-designed resumes she's seen. Thought you'd get a kick out of that. This is Corie from Michigan. I wanted to update you and let you know that from your fabulous resume. I had two job offers from University of Michigan Ann Arbor. I know, I can't believe it! One on the oncology/hematology and the second from a general medical telemetry floor. Thank you for helping me to "make a dream come true!" It truly is a dream! I never thought in a million years that I would be working at a nationally rank hospital. I could not have done this without you. And I will keep recommending you. You helped me with my resume for Stanford at the beginning of this year. Well, I GOT THE JOB Rosa!!! I can't believe it! I am still bewildered by the whole thing. But I KNOW I couldn't have done it without your amazing resume your put together for me. I got comments on how great it was from all the people I interviewed with. Thank you, thank you, thank you!! Thank you again for everything Rosa. You were a pleasure to work with and I hope you feel good making such a difference in people's lives! Made it to the next part of the UCLA application process! So did my auntie! Thank you soooooo much!!! Update 11/7/2011: I GOT THE JOB! AT UC DAVIS MEDICAL CENTER IN SACRAMENTO! A REALLY GREAT TEACHING HOSPITAL! I got the ONE AND ONLY available position on the neuroscience nursing unit! YAYYYYY ROSA! THANK YOU FOR EVERYTHING!!! I just wanted to thank you again for the excellent service you provided. My package was top notch!!!!! I sent out the resume actually for a hospice position at Kaiser on Monday night and got a call Tuesday afternoon. Did not get an ER position but I am thrilled to get into Kaiser! Everything is moving along fantastic with the recruiter who gave me a phone interview on the spot! I basically have the job, everything in between is just formality. You rock Rosa, I will be using your services for life! I am telling all my friends about you. I have not had a chance to write to say thank you because I have been busy working as a SNAP Nurse!!! I sent out my resume the day you got the final version to me and got a call for an interview in less than 24 hours. I interviewed once, she had me meet the nurse manager on the spot and I got the good news 3 days later. It is a paid position and the experience is going to be amazing!! They LOVED your resume...it got me an interview and was worth every penny! I just wanted to let you know that I got the job! Cardio-Vascular ICU! I truly believe that your hard work on my resume made the difference. With many HR people only spending 20-30 sec's per resume, standing out counts! This was a very competitive position, and I got it! Yee Haw! Thank you so much for everything! I have been recommending your services to my colleagues.